Bernie Sanders is a valuable member of the Senate, but not for the reasons he might like. He consistently supports policies and legislation that are extremely socialist in nature. In fact, he is so far to the left that he is not a Democrat. So we get to see, on a regular basis, a parade of failed ideas and dangerous proposals. Our cost for this education and warning is one Senate seat out of 100. Is that too much to pay to have a continual reminder of all the failings of socialist politics that Mr. Sanders illustrates so well? Maybe. If the socialist position were widely recognized as the failed ideology that it is, Mr. Sanders would simply be a fossil. Something from the past that can be studied to figure out how it worked. 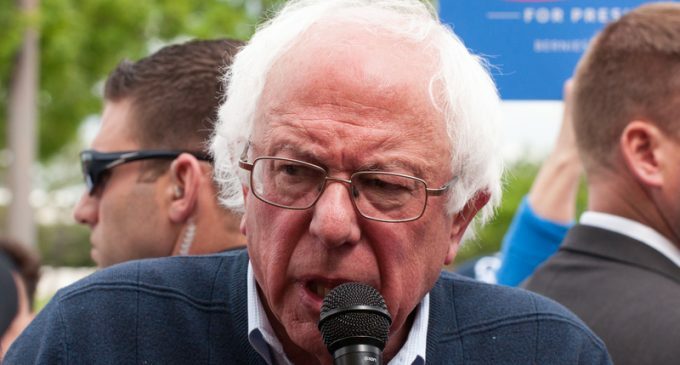 Unfortunately, socialism is alive and well, especially in Democratic Party circles, so Sanders is a drag on the Republic, even though his more extreme ideas are unlikely to go anywhere. And it looks like Bernie has run into legal trouble for meddling with Australian liberals. Apparently, he is not aware that being a socialist does not exempt him from the law. More on Bernie’s problems on page two. They are getting him back for daring to challenge the queen, this is all small change next to using the FBI and intelligence agencies for your campaign.